Capital News Service photo by Rachel Bluth. Sharlene Adams, center, rode three buses to get to an East Baltimore medical supply store from her West Baltimore home. Capital News Service photo by Rachel Bluth. This is Part 2 in a five-part series from the project “In Poor Health” produced by Capital News Service and Kaiser Health News. It explores why Baltimore’s world-renowned health system is struggling to keep Freddie Gray’s neighbors — some of the city’s poorest residents — from getting sick. The doctor told Sharlene Adams to get a blood pressure cuff, so Adams set out to buy one. For Adams, who lives in West Baltimore, that meant four bus rides, a stop for a doctor’s signature, two visits to a downtown pharmacy for other medical supplies, a detour to borrow money for a copay, a delay when a bus broke down and, at last, a purchase at a pharmacy on the east side of town. The one-way, 7-mile trip took 5 1/2 hours. Then she had to get back home. She seemed unfazed. For Adams, this is what it takes to follow a doctor’s recommendations. Adams’ neighborhood is not far from where Freddie Gray grew up and died after being injured in police custody in April 2015, an event that triggered a riot. Incomes average less than $28,000 a year, according to the U. S. Census. Drugs and violence plague the area. Adams’ story is not about huge barriers to medical care but about a series of hurdles that block access to help for her and many other low-income residents. Those hurdles add up to large health care inequities. Adams, 55, has no car, no computer and no credit card. Her insurance will pay for a blood pressure cuff, but only with a prescription. She doesn’t have the ready cash that would allow her to pop into a drugstore and pick up a $40 blood pressure cuff off the shelf. Adams acknowledges she used to use illegal drugs, but that, she says, ended years ago. Yet when doctors hear she used crack, she says, they sometimes dismiss her complaints. “You have some of them that, they treat you like dirt, really, because they think you’re the scum of the earth anyway,” Adams says. She’s been treated for mental health problems including bipolar disorder, and she has been homeless — a time when she never saw a doctor. She tries to stay healthy, but she is working with limited resources and against a lifetime of ignoring her health. She expends a lot of effort and she intends to do right, but she fails as often as she succeeds. She is diabetic but isn’t clear on exactly when to test her blood sugar levels. She doesn’t like needles and doesn’t want to take insulin. She wants to eat better but says the food her doctor recommends costs too much. She wants to lower her blood pressure but she smokes. For Adams, seeing a doctor or filling a prescription or scheduling a medical test is an exercise in frustration that middle-class patients don’t have to deal with. She knows that, and she resents it. 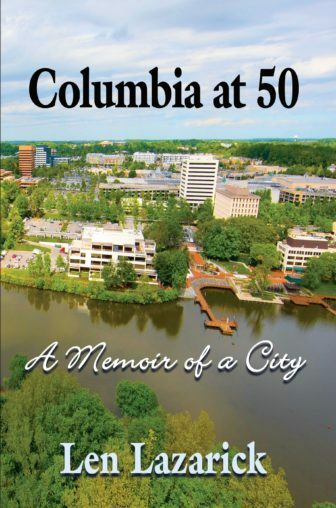 When Adams needed a colonoscopy, for example, a doctor referred her to a center in Pikesville, about eight miles from her home on N. Bentalou Street. Adams says she can’t get there. Adams has rented a front-porch rowhouse on N. Bentalou Street since December 2014 using a housing voucher, which subsidizes her payments. One Monday morning last fall, she pulled on a pair of brightly patterned leggings and topped them with a pink zip-up jacket. Her long, fake nails were painted with ornate patterns, and she wore earrings. She was ready for the long trip she hoped would end with the purchase of a blood pressure cuff. Adams went out the door and headed to the bus stop at the corner of W. North Avenue and N. Bentalou. Along the way, Adams seemed to know everyone. She says hi to the women with children clad in school uniforms, to the men sitting on their porches sipping cans wrapped in black plastic bags. She asked every one of them for a cigarette or for some spare change to buy a loose cigarette for 45 cents from a former Army medic who lives next to the bus stop. “I can’t start my day without a cigarette,” Adams says. She knows it’s bad for her, but quitting is low on her list of priorities. The quest for a blood pressure cuff had been initiated the week before, when Adams visited her primary care doctor at University Family Medicine on Redwood Street. During her examination of Adams, Dr. Kerry Reller had to use the 20 minutes she allows for an appointment to discuss Adams’ two dozen prescriptions, monitor her blood sugar and pressure, make sure she was scheduled for a mammogram and colonoscopy and attend to Adams’ seemingly endless list of ailments, from her eyes to her ankles — all while investigating Adams’ diet and asking if she’s getting the right kind of exercise. Reller told Adams she had to start monitoring her blood pressure daily along with her blood sugar. Medicaid, the health insurance plan for low-income people that covers Adams, would pay for a blood pressure cuff. But there was a problem with the paperwork. Later in the week, when Adams called to check on her order, the pharmacy where she was to buy the cuff told her they’d need the doctor to sign a new prescription and fax it over again. That missing signature was the reason Adams was once again heading downtown. She had left her house a little after 11 a.m. She watched three No. 13 buses, part of Baltimore’s notoriously unreliable public transportation system, go by. It would be 45 minutes before a No. 91 bus would come to take her downtown. Bus riders with smart phones can use an app to track the buses and see what time they will really arrive, but the app is of no use to Adams. She does not have a smart phone and cannot access the Internet. Before getting to the doctor’s office, she stopped at the University of Maryland Pharmacy to pick up lancets for her diabetes test monitor. Adams is supposed to check her sugars, in West Baltimore parlance, every morning, fasting until she takes her blood and writes down the results. On this morning, she was out of lancets, the tiny needles she uses to prick her skin to get the blood sample, so she hadn’t done the test. Because she hadn’t yet checked her blood sugar, she hadn’t eaten — dangerous for a diabetic. But Adams was trying to follow the doctor’s instructions literally. This was another miscommunication between Adams and her doctor, something that happens regularly. Adams has a short attention span and says she doesn’t read well, problems that make it difficult for her to fully understand doctors’ instructions. She says she is like many other people she knows. Adams says she used to use crack cocaine. But now, she says, she tries to take care of herself. She weighs herself at exercise classes she attends at a community center Mondays and Wednesdays, and says she stays away from fried foods and salt. Sweets are her weakness — one cookie can turn into 24 — and she hates the whole wheat bread that nutritionists suggest. She says she often can’t afford the foods and sugar substitutes that Reller recommends. By 12:30 p.m., Adams had left the pharmacy and walked a block to her doctor’s office on Redwood Street to begin the process of getting a signed prescription faxed over to the medical supply store. It would take an hour and a half. While Adams waited, Reller faxed a refill for a diabetes prescription to a downtown pharmacy — the same one Adams had just been to for lancets. At 2 p.m., Adams was out of the clinic, walking back to University Pharmacy to pick up her pills. But they were not ready. She would have to return another day. 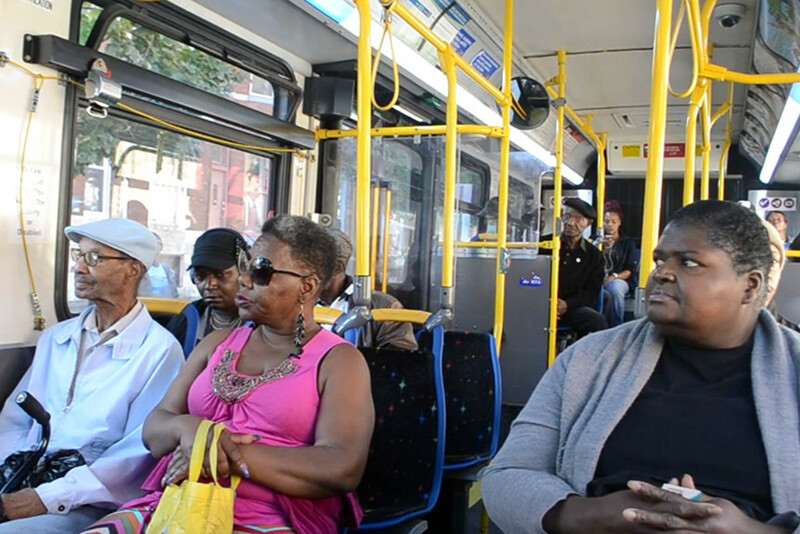 At 2:15, Adams boarded another bus for the trip to East Baltimore to the medical supply store where she now had a prescription to buy a blood pressure cuff. But she first had to make another stop, this time at a friend’s house to borrow money in case the pharmacy demanded a copay. The friend lives next door to Adams’ daughter, Shardaye. The friend gave Adams a cigarette and $11, seven of which were in rolls of coins. They chatted a bit, so that Adams could be updated on the comings and goings at her daughter’s house. Then Adams went back up the street to catch a bus to Northern Pharmacy & Medical Equipment on Harford Road. There would be another complication. The bus broke down on the way. It got rolling again, but it would be 3:30 before the bus finally deposited Adams outside the pharmacy. Inside the store, Adams browsed the aisles of medical equipment like a budget-conscious shopper in a high-end department store. She muttered to herself about getting her Medicaid plan to pay for diabetic socks and canes. There was a bowl of old Halloween candy on the counter. Adams picked up a mini chocolate bar. It was the first thing she had eaten all day. At 4 p.m., a woman in a short lab coat and high heels handed her a box holding the cuff and moved on to the next customer. Adams stepped back and opened the box, unwilling to leave until she understood the equipment. She hunted down another staff member and, trying the cuff on, asked if it fit correctly. The clerk assured her that it was big enough. Three bus rides, three trips to two pharmacies, a stop at the doctor’s office and five hours later, Adams had her blood pressure cuff. Now she’d have one more bus ride to carry her home. She left the pharmacy and crossed the street. But before the bus arrived, Sharlene Adams strode over to a gas station, pulled out the rolls of coins her friend had given her, and bought a pack of cigarettes. This story is part of the project “In Poor Health” and was produced by Capital News Service, a student-powered news organization operated by the University of Maryland Philip Merrill College of Journalism, and Kaiser Health News, a national health policy news service that is part of the nonpartisan Henry J. Kaiser Family Foundation. It explores why Baltimore’s world-renowned health system is struggling to keep Freddie Gray’s neighbors — some of the city’s poorest residents — from getting sick.